With continuing economic pressures on commodity prices and the ongoing need to increase yield, maximizing nutrient efficiency is becoming an even more critical component. This is also an ongoing challenge for growers as they are typically looking at their current crop while already planning for the next season. The key to healthy plant nutrition and optimum crop production is a balance of all the essential nutrients, which is obtained by managing fertility and nutrient availability factors like proper placement, targeted timings and appropriate use rates to ensure nutrient availability throughout the season. 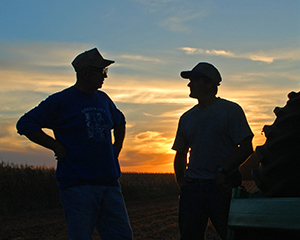 In order to maximize crop production, growers need to provide all key macro and micronutrients for their plants at the appropriate time they are needed. The CHS Board has delayed implementation of the company’s new individual equity redemption program, a decision made following its regular review of the CHS equity management program. 1. 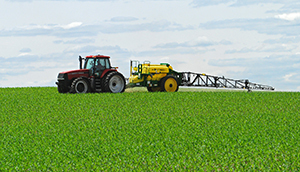 What Are Spray Adjuvants? Adjuvants aren’t new — in fact, they’ve been around as long as herbicides. However, with the recent conversations about the new trait and herbicide technologies, adjuvants are getting a lot more discussion, as they rightfully should. When commodity markets turn volatile, pulling the trigger gets tougher. Grain producers looking for a seamless way to diversify – and simplify – their marketing have one more choice with CHS Pro Advantage.